Picking the right roof for your home or business is a big decision. If you are wondering if it’s time to invest in a tile roof, this is the article you need to read! Although shingles have historically been the most popular choice for roof coverings, tile roofs offer some great advantages. If a long-term, low maintenance roofing solution sounds attractive, it’s time you put some thought into installing a tile roof on your home or business. What Are The Advantages & Disadvantages Of A Tile Roof? Consisting of sustainable, durable materials including clay, concrete or slate, tile roofs are low maintenance and environmentally friendly. That being said, when installed correctly, a tile roof can last more than 100 years. Now that’s longevity that will make you want to invest in a tile roof! The perks do not stop there though, upon installing a tile roof you may notice lower energy bills thanks to the tile’s thermal mass which helps regulate indoor temperatures. Tile roofs can also withstand substantial severe weather events including hail and high winds. These roofs have even been known to withstand fires, and are virtually resistant to impacts, rotting, and insect damage. This makes tile roofs quite beneficial in areas that experience high temperatures, humidity or are exposed to salt air. Hello Florida! As you can imagine, tile roof manufacturers tend to be confident in the lifespan of their roofs. In fact, it is not uncommon for a manufacturer to offer a 50-year warranty. Last but not least, tile roofs are available in an assortment of colors and styles which allows you to match your new roof to the color palate and architectural style of your home. The upfront cost is often brought up as the first disadvantage of a tile roof. While the cost of each roofing job will vary, we would love the opportunity to give you an estimate on a new tile roof for your property. Remember when making a purchase decision, investing in a new tile roof is a one-time cost vs a shingle roof that will need to be replaced in the future. Next, the weight of a tile roof is considerably more than it’s shingle counterpart, which is a potential negative. If your structure cannot handle the weight, installing a tile roof could require additional support. When in doubt about replacing your current roof with tile, have it evaluated by an engineer who will be able to point out any structural reinforcements that are needed. Of course, because of the weight and the structural concerns, installing a tile roof is not a do-it-yourself job. Therefore it is imperative to hire a trusted and experienced roofing contractor who is trained to perform this difficult and potentially dangerous job. If you’ve decided it’s time to invest in a tile roof, contact our team of professionals at R.I.G. Construction and Roofing. Our team is well-versed with all types of roofs including residential and commercial tile roofing. Consequently, we are confident in our ability to solve all of your roofing problems upon giving us the chance to do so. Our office is open Monday-Friday 8:30am-5pm EST. Call (863) 294-4477 or send us a message to schedule an appointment! R.I.G. 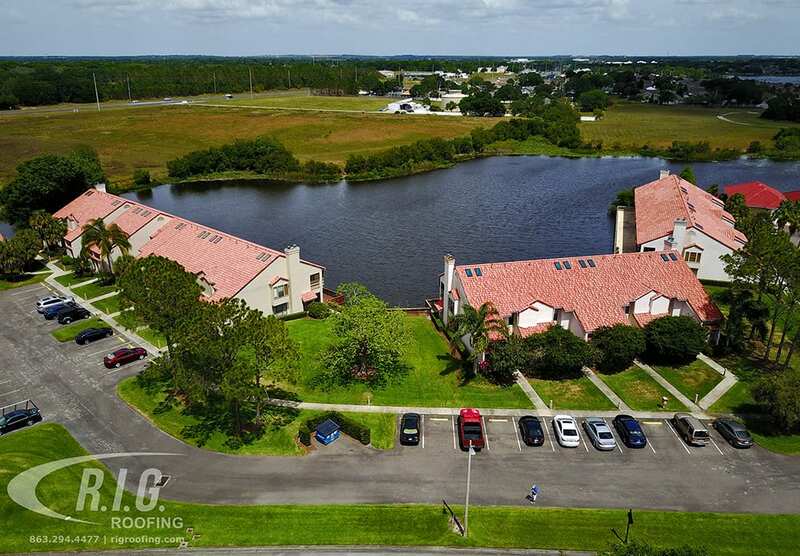 Roofing and Construction proud to serve customers throughout Central Florida including Lakeland, Winter Haven, Kissimmee, Brandon, Plant City, Tampa, and Orlando. This entry was posted in Blog, Tile and tagged advantages of tile, disadvantages of tile, florida tile roof, lakeland tile roof, tile, tile roof, winter haven tile roof, winterset.